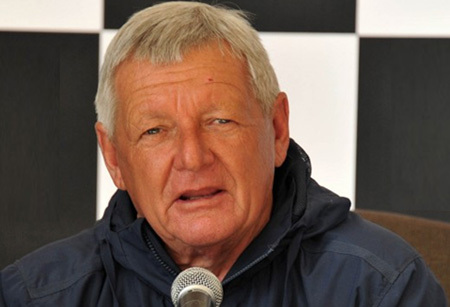 Maritzburg United are pinning their hopes on veteran coach Clive Barker to turn fortunes at the Team of Choice. Barker has joined the club on a two year deal. He is coming in at a time when the club desperately needs points in the bag to get away from the bottom of the table. "The Dog” as he is popularly known, the winner of the Africa Cup of Nations in 1996, is renowned for his motivational ability and making players believe in themselves, which is exactly what the players need now after a disappointing start of the season. The fact is that the team has been playing well, save to say that it is points that matter. Speaking to the Marketing and Communications Manager Brian Zuma, Barker said: “Exciting, i’m happy to be here. In fact I’ve been here once before, in 2003." When asked about how he plans turning things around for the Club, he said, “All football coaches like to turn bad situations into good situations. You can’t be a good side a couple of months ago, top eight, and be a bad side now. He concluded by saying: “we have a good technical team here and the set up is good. We’ll work together and top eight is always a possibility”. Clive takes over the reins immediately and Fadlu Davids remains the assistant coach.